Monday - We read about Numbers 13-14 and learned how God told Moses to select leaders from each of the twelve tribes. God also became angry with the Israelites and their lack of faith, and had them wonder in the desert for 40 years. The only people able to go into the Promised Land was Caleb and Joshua because of their faith. Tuesday - Today's reading was in Deuteronomy 31-34, where Moses passed on at Mt. Sinai and Joshua becomes the new leader. We read about Rahab hiding the spies on her roof and asking for protection for her and her family when they come back to invade the town (Joshua 1-2). Thursday - We read about Joshua 1-4 and 6 about crossing the Jordan River and how it stopped flowing long enough for the the people to cross, like the Red Sea. Twelve stones were picked from the center of the river to represent each of the tribes. We also read about how they marched around the wall of Jericho and after 7 days and 7 times circling the walls, with a shout for the Lord it fell down. Monday - The boys worked in their math workbooks today. G filed in numbers 1-8 in the correct spots, and B worked on single and double digit addition. Tuesday - We went to the children's museum today, and the boys thought it would be fun to count the number of steps we climbed. There was 38 plus an additional 52, so I had B do the math! Friday - B worked on math equations adding to 10, and also skip counting by 2's. Monday - We read about what the daily life of an Old Testament nomad consisted of. They lived in tents, kept flocks of animals, and had no permanent homes until entering Canaan. Tuesday - One of the local children's museums has a free day once a month, so we got a chance to get there this month! The boys got to pretend to be fire fighters by dressing up and going down a pole in a child sized play fire house and fire truck, they got to be athletes by running different races and climbing, movie directors and actors in a theater with sound effects, a construction worker building a house, an astronaut, and also a vet and doctor with X-rays. We also learned of the diet of the people in Canaan and the importance of grapes. Flax was also important for making rope and linens. It was dried on flat roof tops and believed this is what the spies hid in that Rahab helped. Friday - B did some ABCmouse and Lesson 58 was on Things We Use Everyday. He learned about Alexander Graham Bell inventing the telephone and how he was helped by Lewis Latimore, who also came up with the special drawings inventors use. We also learned about Thomas Edison inventing the light bulb, phonograph and movie camera. Monday - We had some fun doing experiments in our Magic School Bus Club. One of the experiments was making gas by mixing ingredients and it inflated a balloon on the top of a soda bottle! We learned how to turn to liquids into a solid, how to make slime,and also how to turn the slime into a rubber like material. They love getting this kit once a month, and being scientists! Friday - Lesson 59 in ABCmouse was on the parts of plants and flowers. The boys learned some vocabulary words like leaves, roots, stem, seed and that plants need water, nutirents, sunlight and carbon dioxide to grow. Monday - We read chapters 4- 8 in Pirates Past Noon today. Wednesday - We finished Pirates Past Noon, and also read Little Love Letters from God. B worked on some fill in the blanks for letters with -ip in his workbook. He also did Lesson 21 on proper nouns and addresses, and Lesson 22 where we read a story called "The Little Girl Who Wanted to be Dirty" in First Language Lessons. He also had to answer reading comprehension questions. G did Lesson 15 in 100 Easy Lessons, and his new words were it, sit, ear, seed, rat,meet, and mad. Thursday - G worked on Lesson 16 in ABCmouse called Reading Letters Kk-Ll. B worked on letter o and e sounds in his workbook. He also did Lesson 23 and 24 in First Language Lessons where we reviewed nouns and he gave some examples of some, and also had to do reading comprehension questions for the story "After a Bath." We also started the book, Night of the Ninjas and read the first two chapters. Friday - B did Lesson 57 in ABCmouse and learned how to read the words spot and stop, and learned what an action verb is. (things that are happening now and have ing on the end) He added ing to do, start, ask, jump and his sight word of the day was after. We all read chapters 3-4 in Night of the Ninjas. Monday - The boys wrote the numbers 1-10 in parts of their math workbooks today. Wednesday - G wrote letters r and t, and B had to write out our full address. Thursday - B wrote the words on, not, got, box, hot, top, get, ten, let, red, men and yes. Monday - We took a walk outside and B rode his bike. Wednesday - B made a Sonic comic book, and G worked on a cut and paste activity for letter t.
Thursday - G worked on Lesson 15 in ABCmouse, on colors in the classroom. Friday - We got a chance to get outside today and play on the swings, and the boys pretended to be Jack and Annie from The Magic Treehouse books. My Mom with the boys at the park. You have shared a great home-schooling week. Thanks for sharing in Literary Musing Mondays. Your homeschool looks like such fun :). Love all the hands on learning and field trips. Stopping over from Monday of Many Blessings link up. Thank you so much Kelly, for reading Little Love Letters from God with your boys! That was such a blessing for me to see that. How awesome to get to meet Daniel Tiger! My daughter LOVES him! The Magic School Bus sounds super fun too! We just started reading the Magic school bus series- it's so much fun! I went over to the scientist club website you've linked here and I'm thrilled! It says the experiments are meant for ages 5-10- so do you recommend it for a 4 year old? or maybe I should wait for another year or two? We live in Chile, so I'll have to figure the international shipping rates too. Do you have any post with more details on it? pls let me know! 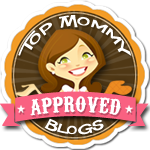 Thanks for linking up to Practical Mondays- Pinning & tweeting your post. See you again next monday! I will check your other posts to know more. To figure international shipping rates I had to sign up and give out all the details... a bit too lazy for that. Shall keep it in mind though cuz I'll want to use them soon. see you next monday! Sounds like lots of fun; I know many kids who would be jealous of meeting Daniel Tiger! what a busy week you guys had - makes me long for the times when my homeschooled kids were that age, now I got one graduating this year, and the other just became a teenager - blessings! 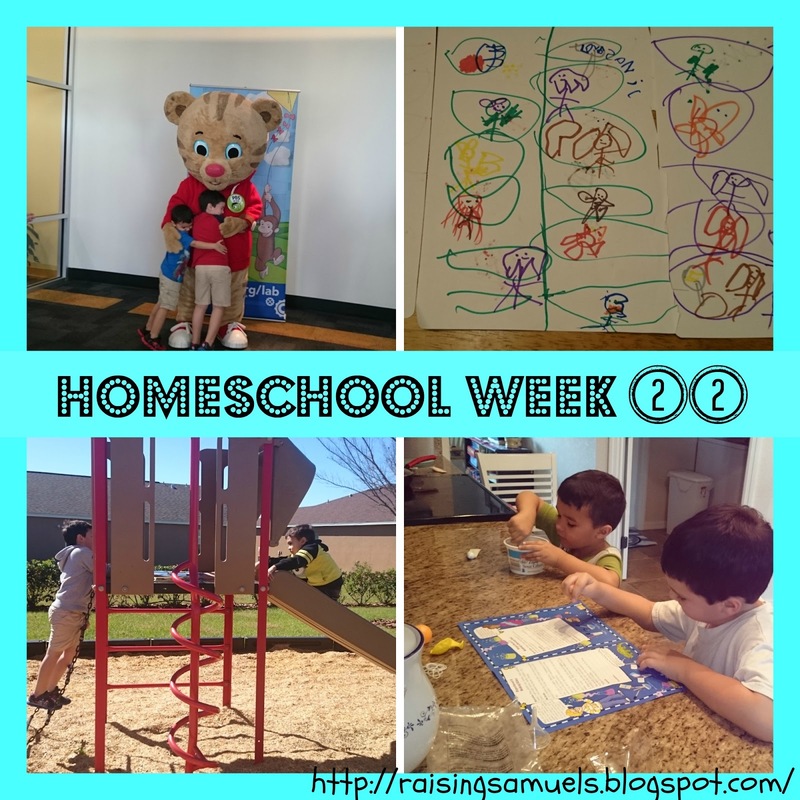 Another fun-filled week of learning at your house! Thanks for linking up with us at #FridayFrivolity this week! Sounds like you had a great week! Thanks for sharing this at Booknificent Thursday!